Late this past spring, my husband and I visited our friend on his sailboat. He was the marine host at Princess Margaret Marine Park on the south end of Portland Island. This island is approximately 3.5 km NNW of the Swartz Bay ferry terminal near Sidney, B.C. 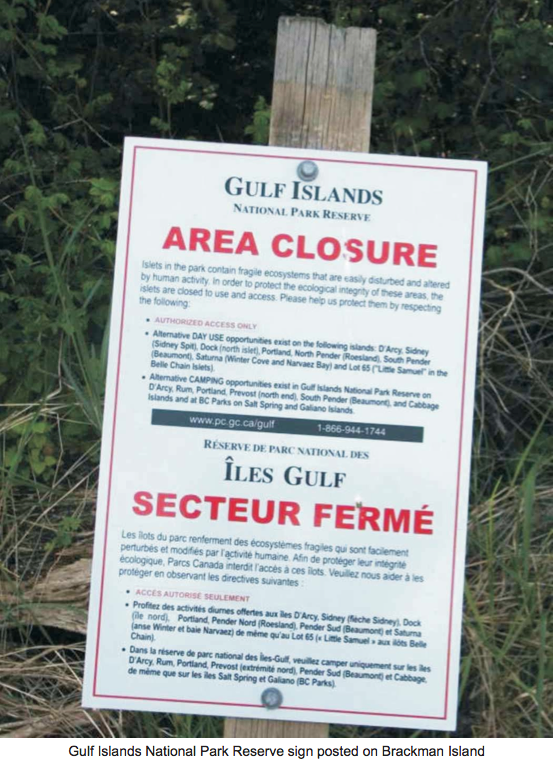 and is now part of the new Gulf Islands National Park Reserve. forest and the wildflowers that flourish there as well as the adjacent marine habitat. A unique feature of Brackman Island is that it has never been affected by settlement, logging, or livestock grazing. Over 80 species of plants have been recorded here, and 13 of those are considered rare in B.C. Island, I wondered how this little jewel was faring now that its protection fell under Parks Canada. 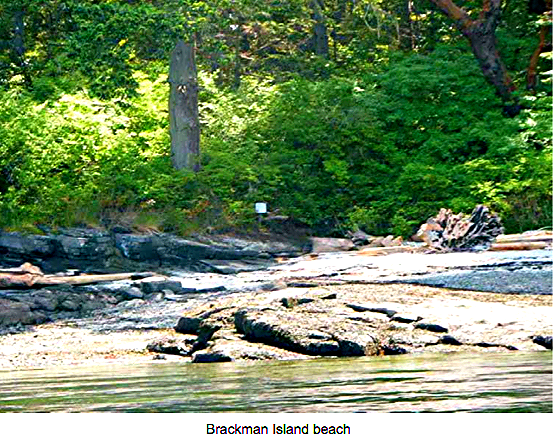 In 1988, Brackman Island was purchased jointly by the B.C. Government, the Nature Conservancy of Canada and the Nature Trust of B.C. With a 99- year lease from the Nature Trust of B.C., the island was established as Ecological Reserve #121, administered by B.C. Parks and watched over by Volunteer Warden, Paul Linton from Saltspring Island. Pockets of old growth forest on the island, contain some trees that are over 250 years old. Broom is the predominant invasive species, and in years gone by, the Friends of Ecological Reserves has hosted a “broom bash” on the island. Nearby Portland Island is a popular destination for boaters and kayakers so the wildflower meadows on Brackman were vulnerable to trampling by visitors to the island. As we sailed away, I felt confident that Brackman Island will have reasonable protection with the Gulf Islands National Park Reserve.